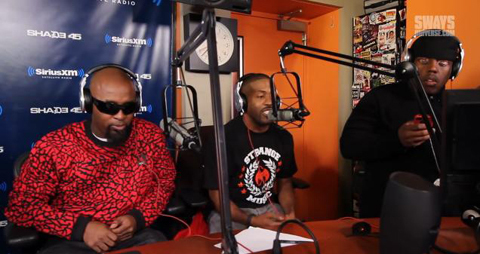 Recently while on Sway In The Morning to promote the signing of MURS and premiere a new track off the upcoming Strangeulation album, Sway got the 3 Strange spitters to do a quick cypher. First, Tech came through with a switched up version of his second verse from “See Me”, then MURS tore the house down with an independently fueled freestyle, only to be followed by a double-timing Krizz Kaliko! Check out a video of the full cypher below! 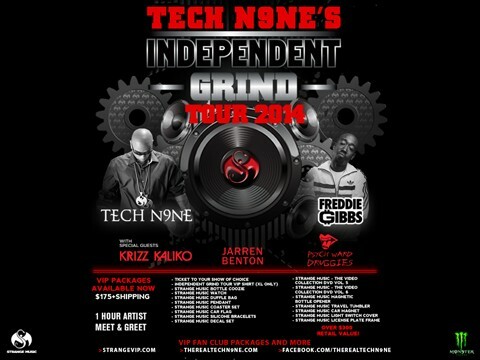 CLICK HERE TO PURCHASE VIP PACKAGES FOR THE INDEPENDENT GRIND TOUR 2014! – What did y’all think of the cypher? – Who spit the hardest verse?